Johnathan is the Executive Knight of our Phase 5 program. Every student at Woodward Academy progresses through their program through 4 phases. The closer they get through these indicates how close they are to graduating their specific program. Phase Five students are those who have successfully moved through their on-campus program, but have found it beneficial to not immediately return home. Students in this position are making a conscious decision to stay near Woodward Academy and will obtain the benefits of doing so. They will also be the top students to experience expanded vocational and job opportunities. Jonathan has proved to be one of those students that deserves those extra opportunities, on the dorm and in the community. Johnathan has a lot of responsibility on the dorm being the Executive Knight. Executive Knights being the leaders of their respected dorms. These students are at the top of the Knights Club and play an active role in maintaining it’s integrity. They are each responsible for their own individual dorms while supporting and challenging each other to have the best dorm on campus. Johnathan challenges himself to go above and beyond what is expected of him. He took intiative and approached his staff team about finding a job outside of the typical vocations students have had in the past. Johnathan was interested in drawing and making sure to find work that was hands on. His staff team proposed a job offer at 905 Ink in Boone, IA. 905 Ink is a screenprinting business that specializes in custom screenprinting, graphic design, and screen embroidery services. All of the screenprinting done on site and in house. 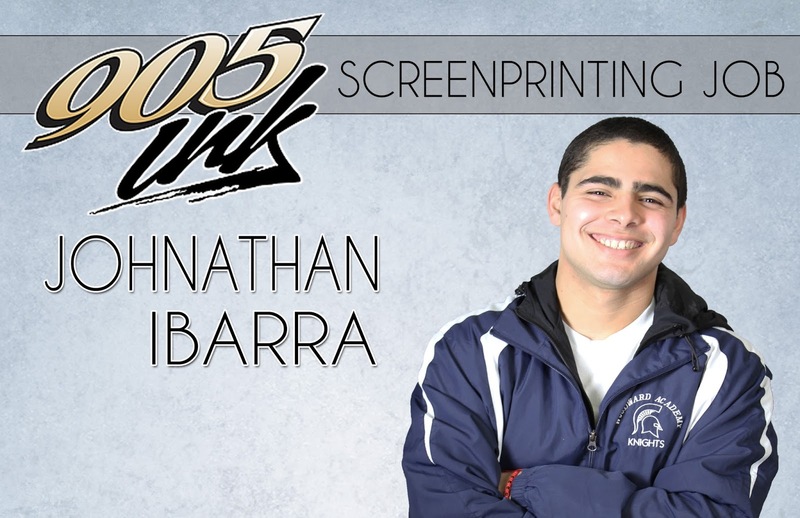 In January, Johnathan went in for an interview and was hired as an assistant screenprinter. He works one on one with a screenprinter to learn how to create the products. There is a lot to learn with screenprinting. His mentor helps him to learn how to set up the designs, run the screen press, and how to make sure the temperature is correct for the right color of ink. There are different steps involved for each custom printing they do. Johnathan likes the challenge of this work and learning a new trade.